My True Love wool mat or pillow designed by Cheri Saffiotte-Payne is classic Cheri! 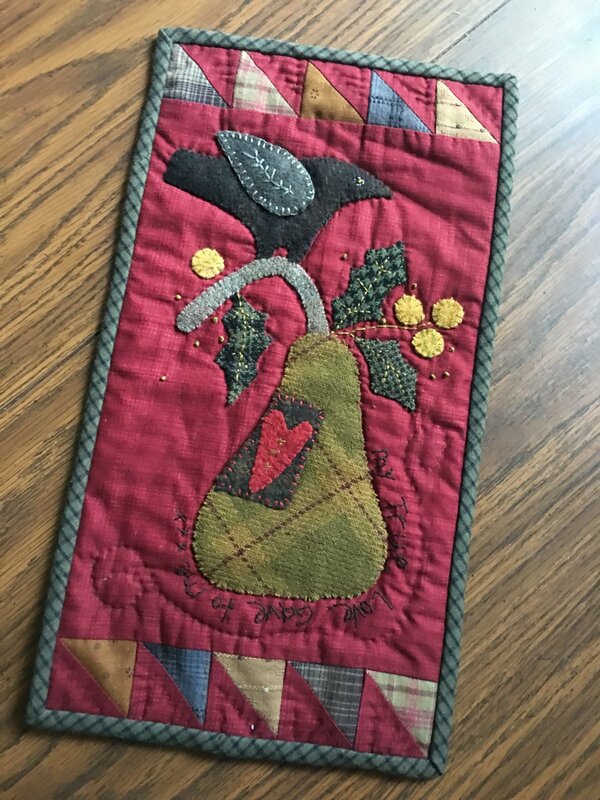 This cute, primitive pear with bird wool applique finishes at 8" x 15" and is the perfect size for either a table mat or small pillow. Photo shown is the mat that Janet made and shows the fabrics in the kit. Background and pieced borders are cotton with wool applique.